/ Are Split Fins Right for You? What Is the Purpose of Split Fins? 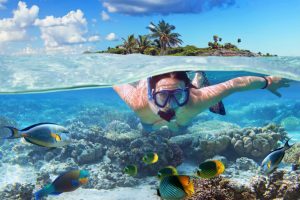 As you get more experience with diving, you’ll have a better idea of what equipment best suits your needs. 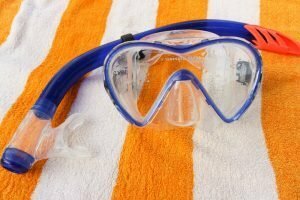 You’ve likely noticed that while scuba diving, people will have different types of equipment. When it comes to fins, divers either exclusively use split fins or avoid them. That is why it’s essential to ask, "Split fins, are split fins right for you?". The first step to finding the right equipment is to explore the pros, cons, and features before making your final decision. You’d be surprised to know that split fins are a relatively new concept. 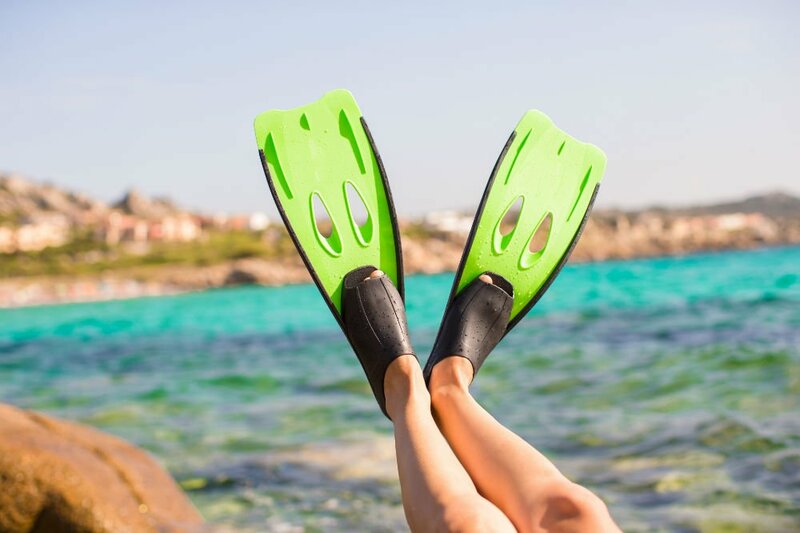 In the past, divers exclusively used blade fins, but with advancements in technology, split fins have become the latest addition. The main purpose behind their design is to create a vortex in the water that propels divers forward and improves their speed with less effort. In comparison to blade fins, vortex fins are said to require less energy and they may help to reduce fatigue. Since there is a split down the center of the fin, this helps to let water pass through when you’re performing an upward stroke. As an upward stroke is known to offer the least propulsion, adding the split helps to make each movement more efficient. This is especially true when compared to a blade fin. Additionally, it is said to help preserve air, as you won’t have to exert as much energy. The next step to answering, split fins, are split fins right for you, is to consider their benefits. 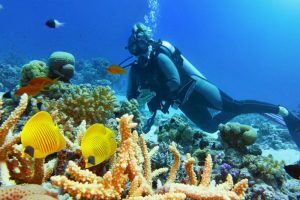 As with any other type of diving equipment, these advantages are subjective to the user. It’s always important to test your fins prior to using them for long-haul excursions. One of the main groups of people that will benefit from using split fins is beginners. This is because they are intuitively designed to reduce fatigue and to help make kicking easier. 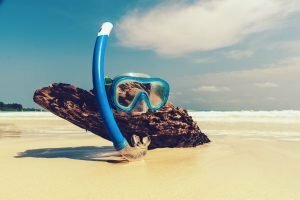 If you haven’t mastered your scuba diving techniques as of yet, these could be a better alternative. As mentioned, you’re likely to become less tired when using split fins for limited to moderate movements. If you’re someone who easily cramps or has ankle problems, you’re likely to prefer these fins over the blade varieties. 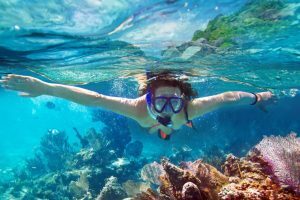 Not only will you experience a more relaxed scuba excursion, but you will also be able to conserve more air. Compared to blade fins, using split ones are optimal for calm waters. If you know you’re not going to be faced with a heavy current, navigating will be substantially easier. If you’re someone who prefers to use a bicycle or flutter kick, you’ll get the most out of this design. You’ll find that you can be out on the water for hours compared to when you use other types of fins. 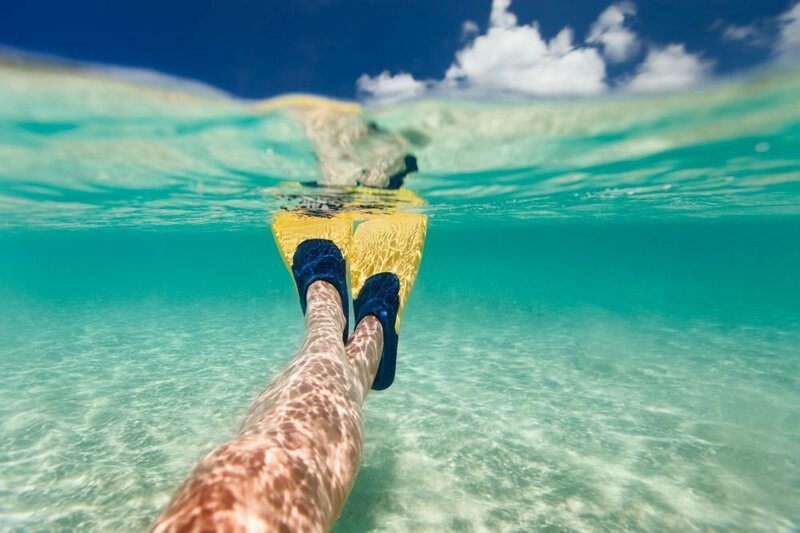 If you’re heading below the surface to enjoy ocean life while on vacation, for example, you’ll appreciate how user-friendly split fins are. 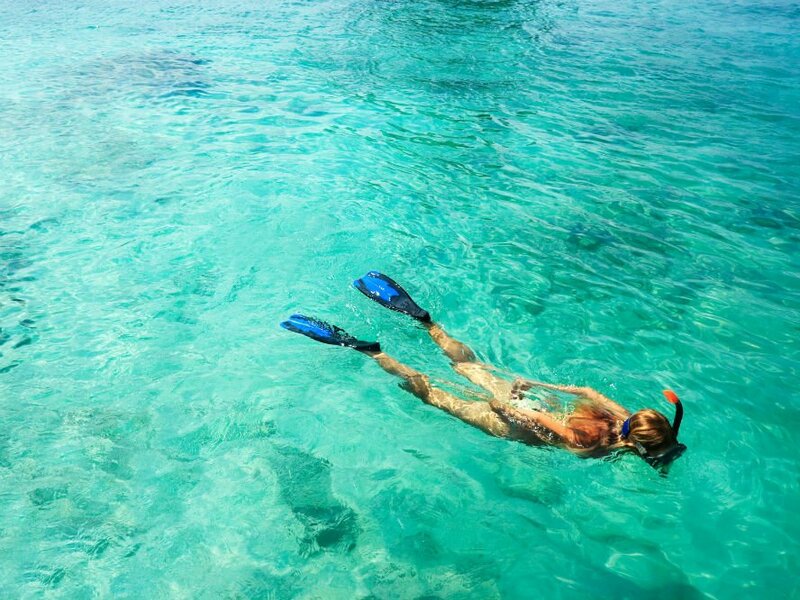 As they help to reduce fatigue, you can gently maneuver through the water and have a more enjoyable experience. You’ll also find that they’re easier to work with, as long as you don’t have to make precise movements. Similar to their advantages, the negative aspects of the design are based on how you use them and your preferences. 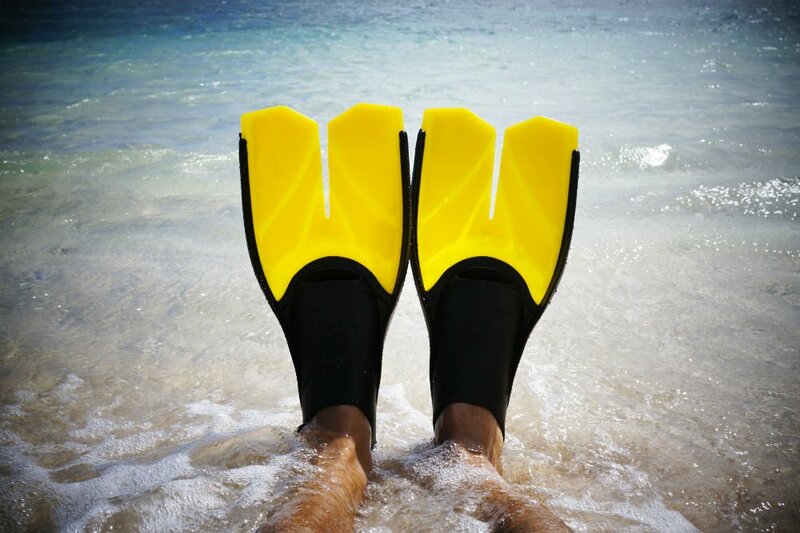 Most of the detriments will be noticeable by experienced divers who are used to using blade fins. If you already have established your kicking technique, you’re not going to be able to appreciate split fins. This is because blade fins are designed for most, if not all, kicks; frog kicking is just one example. Professional divers also argue that split fins aren’t as easy to work with, as they are limited. You’ll immediately realize that split fins are designed to be rather lightweight and flexible. This lack of stiffness is what leads professionals to opt for blade fins instead. Without the right level of rigidity, you don’t have the foundation to use a lot of power when needed. On the other hand, blade fins are stiffer, which gives you the maneuverability you need for backing up, turning, and propelling yourself through the water. 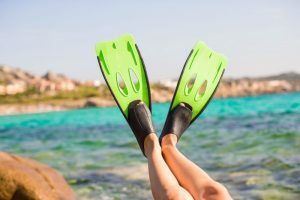 In the event that you are tasked with carrying a load while scuba diving, you’re not going to want to opt for split fins. Relating back to their lack of rigidity, split fins don’t give you the power needed to work with something heavy. You need the strength of bladed fins to push you to further distances in less time. This is quite important to consider, as currents can be dangerous if mishandled. If you find yourself venturing into a current, you’re going to want to have blade fins at your disposal. Since split fins are very pliable, they won’t withstand the power of the water. Additionally, they don’t give you the ability to do sharp and precise movements. 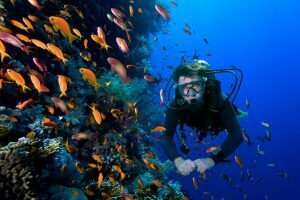 This is likely one of the most subjective disadvantages and is also one of the largest issues for professional divers. When wearing split fins, you won’t be able to feel them as much as you would with blade fins. They will move with the water, rather than move as you tell them to. Sometimes this can be an issue that leads scuba divers to feel like there is a lack of power. However, it can also cause you to exert more energy, especially if you’re traveling to further distance in a short period. Now that you have a clear idea of the pros and cons of split fins, it should be easier to answer, "Split fins, are split fins right for you?". They are highly recommended for beginners who are heading out on a leisurely excursion. With their ability to assist with novice techniques and their ease of use in calm waters, they can be a great option to learn with. On the contrary, if you are someone with a lot of experience who is looking for sheer power and maneuverability, other fin types would be preferable.